Cajuput oil is extracted from Melaleuca cajuputi of the Myrtaceae family and is also known as white wood, weeping tea tree, and weeping paperback. The oil helps to balance the mind by clearing thoughts, stimulating the mind and dispelling the feeling of sluggishness. Cajuput Pure Essential Oil is widely known for its antiseptic properties and are used for treatment of disorders in respiratory tract and the urinary system. Applications: Burners and Vaporizers, Massage Oil, Blended Cream and more. Blending: Angelica, Bergamot, Birch, Cardamom, Clove, Geranium, Immortelle, Lavender, Myrtle, Niouli, Nutmeg, Rose, Rosewood, Thyme. Calamus Root Oil is a yellowish brown slightly viscous liquid that is commonly used as a stimulant for the brain and nervous system. 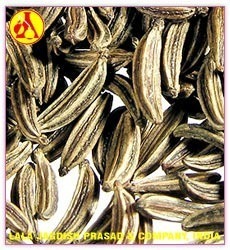 It promotes cerebral circulation, stimulates nervine, antispasmodic and also acts as a general tonic for the mind. Packing : Food Grade Silver Coated Alumunium Bottels and As Per Client Requirements.Camphor essential oil is extracted from the Cinnamomum Camphora (also known as Laurus camphora) of the Lauraceae family and is also known as true camphor, hon-sho, gum camphor, as well as Japanese and Formosa camphor. Cardamom Essential Oil has traditionally been used as a tonic to the digestive system, as well as a component of many sensual aphrodisiac blends. The oil has the aroma of freshly dried cardamom pods, far supierior to the comparatively flat steam distilled variety of this oil. Carrot seed oil is extracted from Daucus carota of the Apiaceae family. it is also known as wild carrot or Queen Anne's lace. The oil not only helps to relieve stress and exhaustion but is also a powerful detoxifier and liver booster. Carrot seed oil also assists in removing toxin and water build up in the skin giving it a fresher more firmer appearance. Aroma: Slightly sweet, dry and earthy aroma. Blending: Bergamot, Juniper, Lavender, Lemon, Lime, Melissa, Neroli, Orange, Petitgrain, Rosemary, Verbena, Cedarwood, Patchouli, Geranium and Palmarosa. Applications: Burners, Vaporizers,Creams, Lotions, Blended Massage Oil and more. 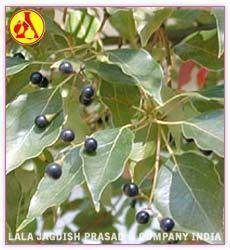 Cassia (Cinnamomum cassia) is a slender evergreen native to Southeast China as well as Vietnam and India. 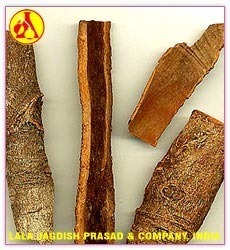 Also known as Chinese Cinnamon, Cassia has a long history of tradtional use. 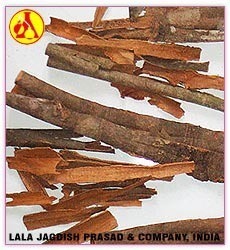 Today, the warm, spicy aroma of Cassia Oil is popular in aromatherapy and is often a componenet of potpourri. This essential oil is steam-distilled and 100% pure. Chamomile Blue Essential oil is extracted from from Matricaria chamomilla (M. recutica) of the same family. It is also known as blue chamomile, Hungarian chamomile and single chamomile. The oil has excellent calming properties and are effective for irritation and impatience. Blending: German Chamomile, Patchouli, Frankincense and Petitgrain. Applications: Burners, Vaporizers,Creams, Lotions, Blended Massage Oil, Mouthfreshners and more. 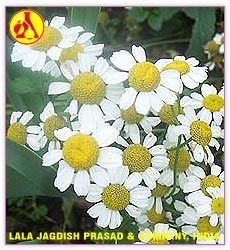 Roman Chamomile has much sweeter aroma compared to German Chammomile. Chamomile oil is preferred for inhalation, as a or pain reliever. 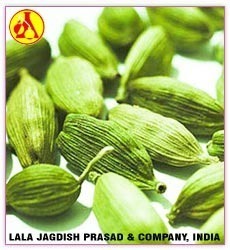 It is wonderful for insomnia caused by stress or tension and for relieving intestinal spasms. Chamomile is a particularly safe essential oil and can be used with young children and sensitive individuals.Roman Chamomile has much sweeter aroma compared to German Chammomile. Chamomile oil is preferred for inhalation, as a sedative or pain reliever. It is wonderful for insomnia caused by stress or tension and for relieving intestinal spasms. Chamomile is a particularly safe essential oil and can be used with young children and sensitive individuals. Aroma: Bright, crisp, sweet, fruity, herbaceous. Blending: Geranium, Lavender, Rose, Neroli, Marjoram, Cedarwood, Frankincense, Rosewood, Clary Sage, Ylang Ylang and more. 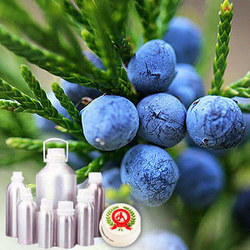 Applications: Shampoos, herbal tea, sedative, Anti-bacterial, Antiseptic, Anti-allergic etc. 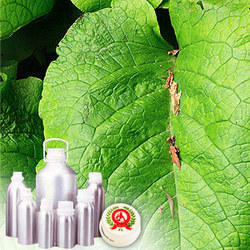 Cinnamon Leaf Pure Essential Oil has a warm, spicy aroma with germicidal, antiseptic and anti-fungal properties. It has a soothing effect that comforts and soothes the body and mind and also acts as a physical & emotional stimulant that gets to the blood and mind in motion. Cinnamon aroma in a room helps reduce drowsiness, irritability, pain and frequency of headaches. It also supports the respiratory and digestive systems and invigorates & rejuvenates the mind and body. Blending: Frankincense, Myrrh, Orange, Mandarin, Benzoin, Clove, Coriander, Ginger, Grapefruit, Lavender, Orange, Pine, Rosemary and Thyme. Applications: Antiseptic, antiviral, bactericidal, deodorant, insect repellant, puriefier, inscence, mulled wines and more. The leaves of citronella plant (Cymbopogon winterianus Jowitt) are distilled to obtain valuable oil. Citronella Essential Oil is a source of important perfumery chemicals like citronellal, citronellol and , which find extensive use in soap, perfumery, cosmetic and flavouring industries. Citronella thrives well under tropical and subtropical conditions. It needs abundant moisture and sunshine for good growth. Sandy loam soil rich in organic matter suits most for its cultivation. 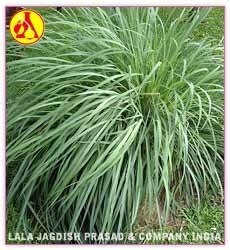 Once planted, it continues to yield economic returns upto four years.The leaves of citronella plant (Cymbopogon winterianus Jowitt) are distilled to obtain valuable oil. Citronella Essential Oil is a source of important perfumery chemicals like citronellal, citronellol and geraniol, which find extensive use in soap, perfumery, cosmetic and flavouring industries. Citronella thrives well under tropical and subtropical conditions. It needs abundant moisture and sunshine for good growth. Sandy loam soil rich in organic matter suits most for its cultivation. Once planted, it continues to yield economic returns upto four years. Bland with : Bergamot, Lemon, Orange, Lemongrass. 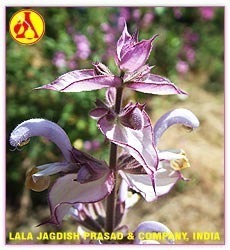 Clary Sage essential oil is extracted from the flower tops and leaves of the perennial herb plant Clary Sage. The essential oil has and qualities. It also possesses great regenerative properties, which makes it popular for using on the skin. Available : 1 K.g, 500 Gms, 250 Gms, 100 Gms, 50 Gms. Packing: Food grade silver coated alumunium bottles and as per client's requirement.Clary Sage essential oil is extracted from the flower tops and leaves of the perennial herb plant Clary Sage. The essential oil has sedative and aphrodisiac qualities. It also possesses great regenerative properties, which makes it popular for using on the skin. Celery seed is not well-known in Western herbal medicine, although it has been used medicinally for thousands of years in other parts of the world. 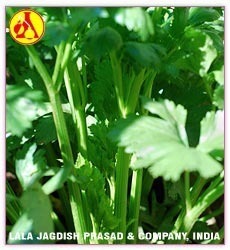 During ancient times, Ayurvedic medicine used celery seed to treat colds, flu, water retention, poor digestion, various types of arthritis, and certain diseases of the liver and spleen.